3. Tap the microphone icon in the upper left corner to start the voice command tool. 4. 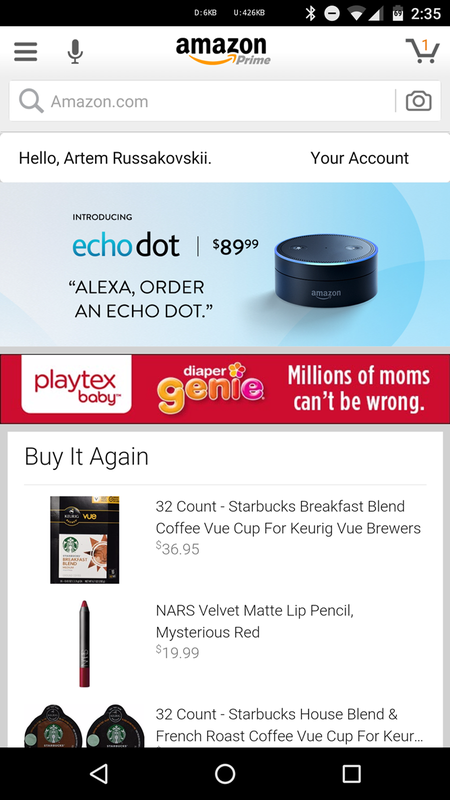 Say "add Echo Dot to shopping cart." 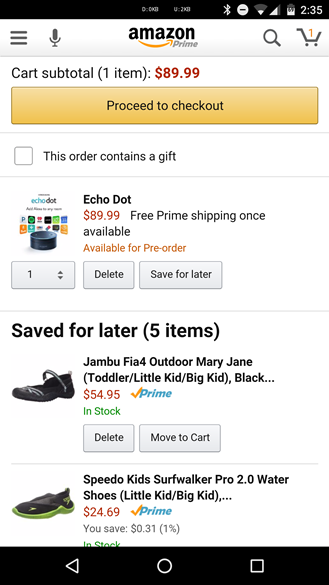 Speak clearly - I got "echo dog" and "echo dart" before it caught the right voice-to-text string. 5. 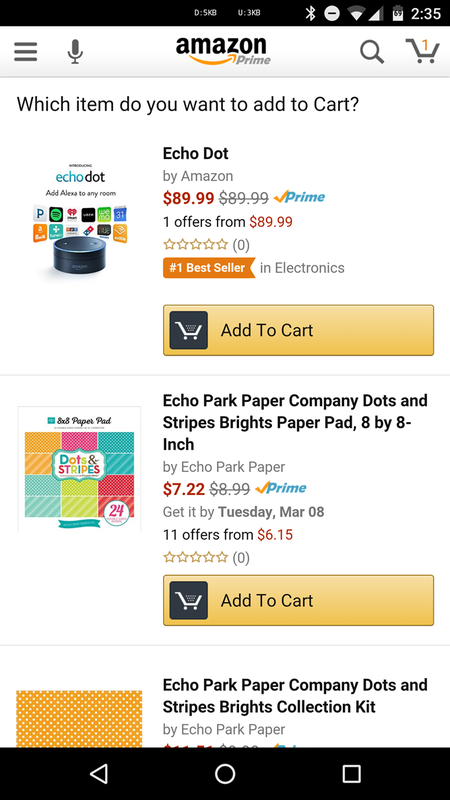 Tap "Add to cart" next to the Echo Dot. 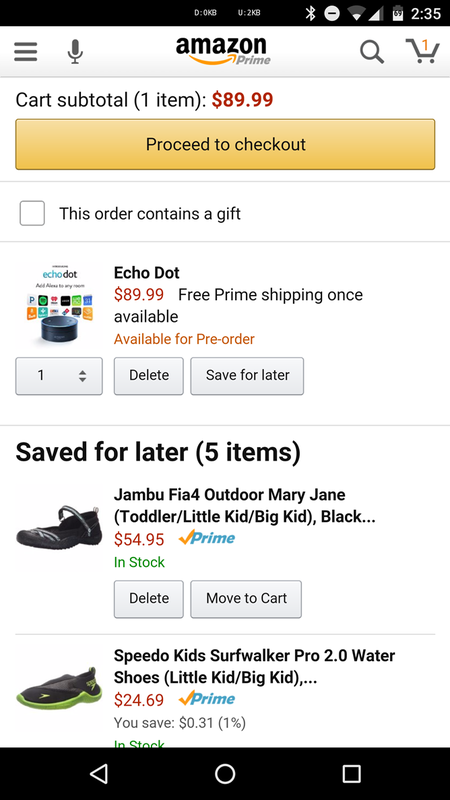 Tap "Proceed to checkout." 6. Check out and pay. 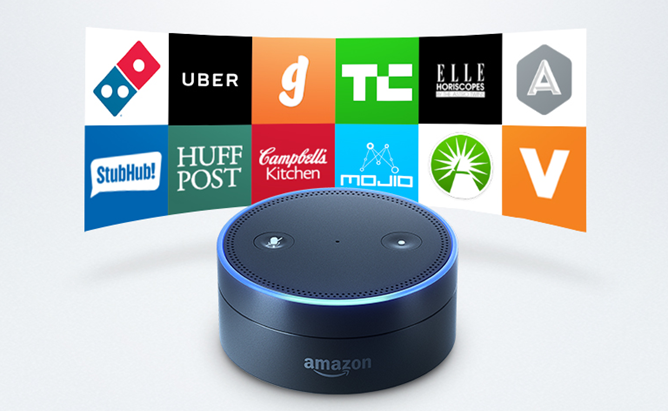 Note that the Echo Dot is in pre-order right now - it should ship on March 31st, along with the $129.99 Amazon Tap. Again, according to Amazon you need to be an Amazon Prime subscriber in order to buy either gadget.